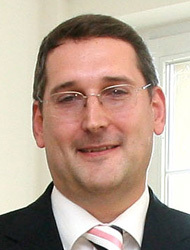 Markus Neurath is a leading scientist in the field of immunology and endomicroscopy. He was professor of gastroenterology at the University Medical Center in Mainz, where he served as director of the Graduate School of Immunotherapy and participated in several collaborative research centers. Neurath received numerous awards for his research, for example the Ernst Jung Prize for Medical Research and the United European Gastroenterology Foundation Prize. Since 2009, he has been Chairman of the Department of Medicine 1 at the University Medical Center in Erlangen.